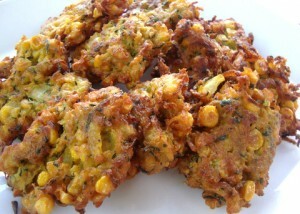 Falafel is a small, deep-fried patty made from ground chickpeas and a blend of herbs and spices. For my own signature version, I also incorporate ground split peas (which is optional) and season with my own blend of spices. Falafel is a traditional Arabic food, usually served in a pita, which acts as a pocket, or wrapped in a flatbread and topped with various sauces and vegetable garnishes. This recipe yields about 16 falafel patties. Place the dried chickpeas and split peas (or chickpeas alone) in a large bowl and add enough cold water to cover them by at least 2 inches. Let them soak for 24 hours, then drain thoroughly. DO NOT use canned chickpeas. Place the drained, soaked chickpeas and split peas, onion, garlic, salt, rosemary, cumin, coriander and red pepper flakes in the bowl of a food processor fitted with a chopping blade. Process the mixture until all the peas are coarsely ground. Remove the lid and scrape down the peas as necessary to incorporate them into the mixture. DO NOT purée! It is important to retain a “grainy” texture”. Sprinkle in the garbanzo bean (chickpea) flour, olive oil, black pepper and parsley and pulse the mixture several times to combine. Turn the mixture into a bowl and refrigerate, covered, for a minimum of 30 minutes. Form the chickpea mixture into balls about the size of walnuts and then gently press to flatten into small patties. The mixture will be moist and some will stick to your fingers, so keep a moist towel on hand while you work. Place the patties on a plate or cutting board. In a deep skillet or wok, heat ½-inch of oil to 375°F, or for a full 5 minutes on medium-high heat. Fry the patties in batches for about 1 to 2 minutes on each side, or until golden brown. Drain on paper towels. Stuff half a pita with 3 falafel patties or serve on a plate. Garnish with fresh produce and condiment(s) of your choice. 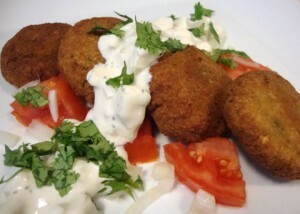 Store any remaining falafel in a covered container or zip-lock bag and refrigerate. To reheat, wrap the falafel securely in foil and place in a 350°F oven for 15 minutes – or briefly reheat in the microwave. 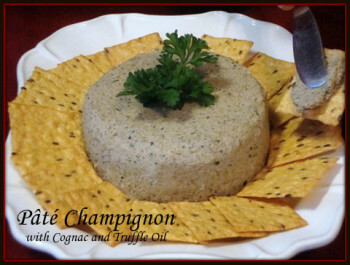 This is my own vegan version of the classic appetizer. Fresh oyster mushrooms are often difficult to locate and when they are available, they’re rather expensive. 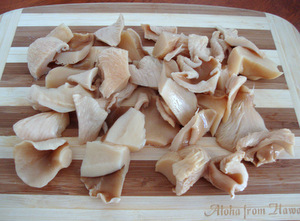 However, canned oyster mushrooms can be purchased from your local Asian market and are very inexpensive. They also have the perfect texture for this recipe. 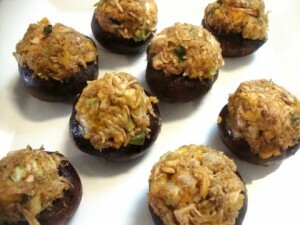 Canned abalone mushrooms work well too. Traditionally Pernod, an anise flavored liqueur, is added to the spinach and shallot mixture in the skillet; however, it is rather expensive, so I’ve substituted dry sherry (you can also use vegetable broth) with ground fennel to impart that wonderful anise flavor. Drain the water from the oyster mushrooms (if using canned), remove the tough part of the stems, cut into quarters and set aside. Melt the butter in a skillet over medium heat and sauté the garlic for 2 minutes to infuse the butter. 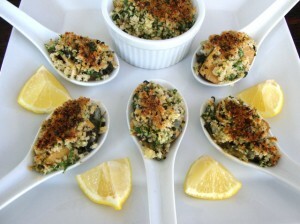 Place the bread crumbs in a small mixing bowl and add half the garlic butter, set aside. To the remaining garlic butter in the skillet, add the chopped mushrooms, shallots and spinach and sauté for 3 minutes until the spinach wilts. Remove the pan from the heat and add the dry sherry. Replace the skillet over the heat and add the fennel, a generous pinch of salt and pepper and a dash of red pepper sauce. Allow the mixture to cook down for a few minutes but do not let it dry out. While the mixture is cooking, finish the bread crumbs by mixing in the olive oil, vegan parmesan and parsley; season with a pinch of salt and black pepper to taste. Remove the skillet from the heat. Spoon 1 heaping teaspoon of the mushroom/spinach mixture into each serving spoon or fill the individual ramekins halfway. Top with a spoonful of the bread crumb mixture. Place on a baking sheet and then under a broiler for a few minutes until golden brown on top. 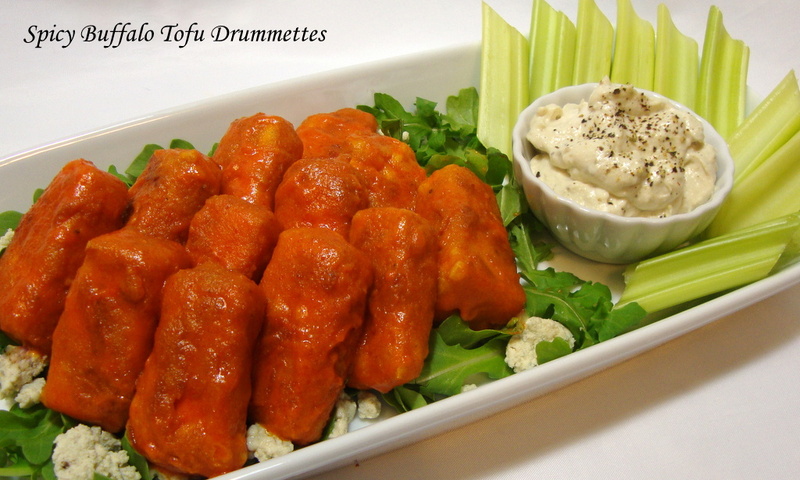 Serve with lemon wedges and additional red pepper sauce.